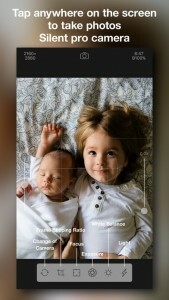 The Camera RX iPhone app is a convenient and multi-functional app that really enhances the iPhone camera’s capabilities. The app is easy-to-use and makes snapping the perfect photo an effortless experience. The app comes equipped with image correction and filtering capabilities, which saves you from having to download a second app for editing. It also allows for manual adjustment of multiple functions such as focus, exposure, and white balance. This is a nice feature as the iPhone’s stock camera has limited capabilities. This app would come in handy for users who have shaky hands as it also has an anti-shake correction feature, which I found to really help with blurry images. Another interesting feature is the Exif functionality, which allows for geolocating and geotagging of photos. You even have the option of adding copyright information directly into your photo’s Exif metadata, a helpful tool for professional photographers! Another great feature is the tap-anywhere operation. You literally tap anywhere on the screen to snap your photo, which means no more accidentally pressing the shutter button at the wrong time. This feature really makes snapping photos more comfortable because you don’t need to be continuously avoiding the shutter button. The camera operates silently so there’s no need to worry about loud shutter sounds while taking discreet photos, or photos of nature. 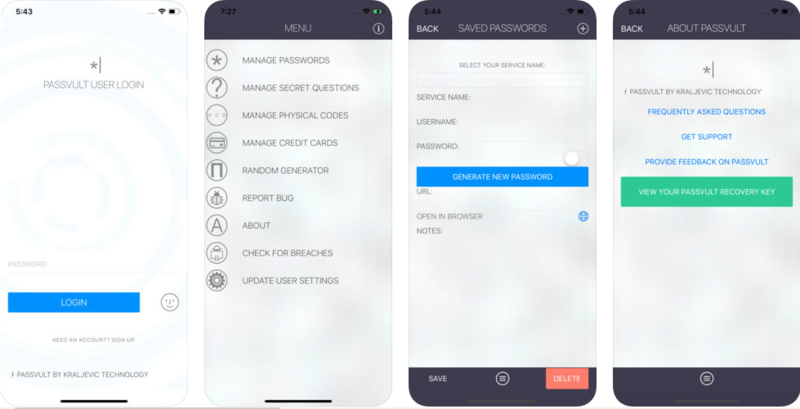 The app is rather lightweight considering the range of features, with a total size of only 21.5 MB, it doesn’t take up too much storage space. You do need to own either an iPhone, iPad, or an iPod touch running iOS 10.2, or better. This doesn’t pose a problem since I installed the app on my iPhone 5 with no problems at all. 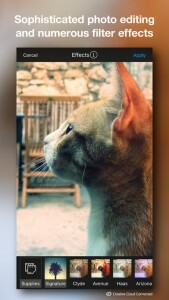 Generally speaking, this app offers a big upgrade to the iPhones stock camera. It gives the user way more control over functionality and makes it a breeze to take clear high-quality photos. 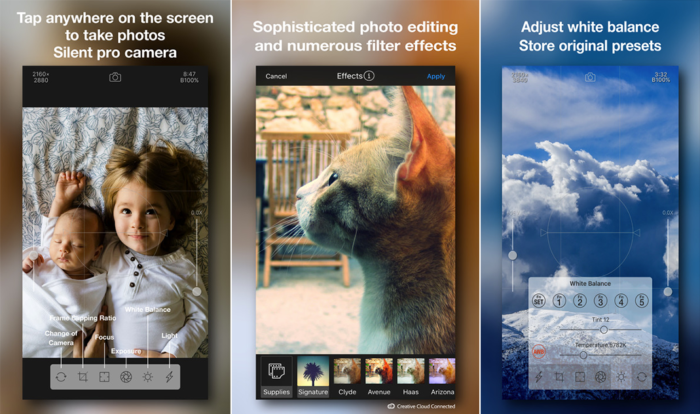 You can edit and enhance photos from within the app, which saves on having to download multiple apps for this purpose. I have not experienced any glitches or app crashes while using and it never delays image capturing when I take a photo. The app doesn’t take up too much space on my iPhone and it has completely replaced my built in camera. Since I downloaded this app I have even started looking into amateur photography as I’ve discovered how much I enjoy snapping beautiful images of nature. I never have to worry about poor lighting because the apps built in exposure correction and white balancing lets me adjust the image later. I have found that this app has really made my photos that much better and I would definitely recommend this app to anyone looking to take great photos! The only thing that I’m not crazy about is the price, $3.99 to purchase. But I guess it’s worth it to take such great photos.